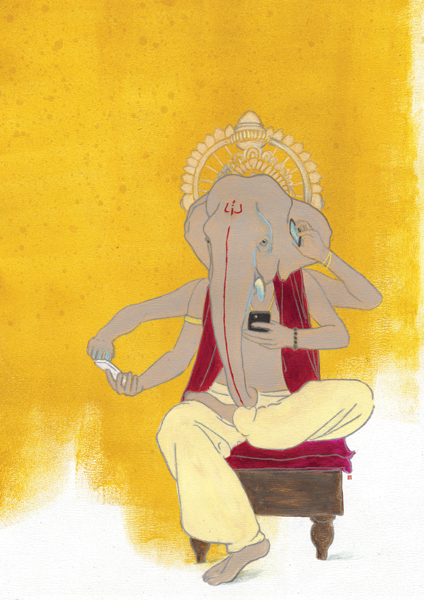 We were asked to make an illustration for a piece about the use of smartphones in India. The mobile market in India is booming and in every social class people use their smartphones a lot, for banking, trading stocks, social media etc. 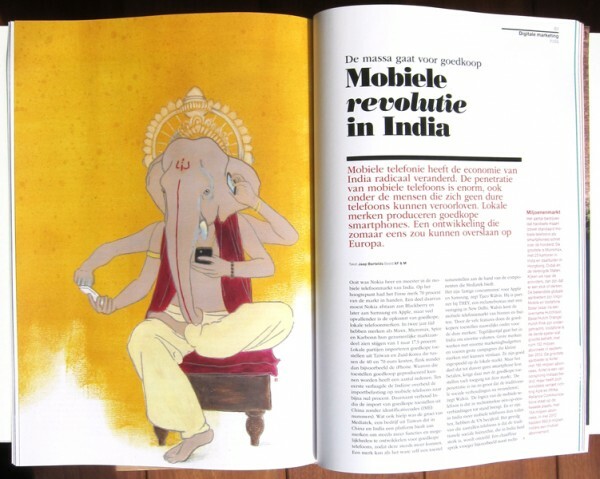 So we took one of the most iconic images representing India (for us at least); Ganesh and took him into modern times by giving him smartphones.